Carving pumpkins is great, but it’s kind of a means to and end for me. The end being roasted pumpkin seeds. It’s the prize at the finish line. Cut your pumpkin open, clean all those seeds out, pop them in the oven and start carving your pumpkin. 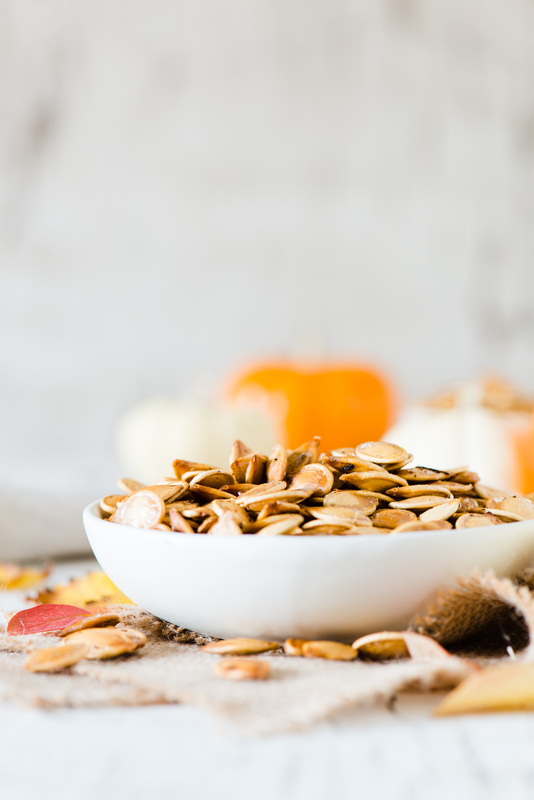 By the time it’s all said and done, you can sit back admiring your artistic masterpiece, while devouring pumpkin seeds. 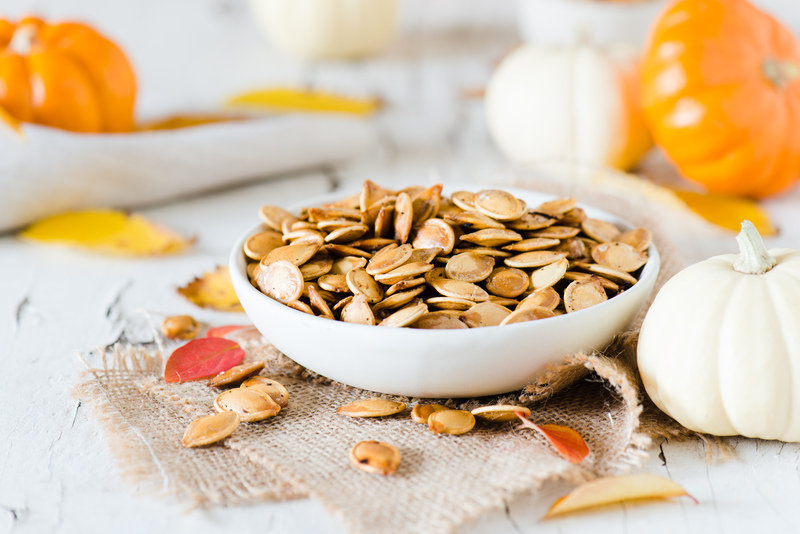 I thought about doing something fancy with the seeds, but when it comes down to it, you just can’t beat simple roasted pumpkin seeds seasoned with salt and pepper. It’s not much of a recipe, but I thought I’d share it anyways. Clean out your pumpkin with a spoon, and remove seeds from pulp. I find if you sqeeze the pulp, the seeds just kind of pop out. Once you have all your seeds, rinse them in a colander, remove any additional pulp. Dry seeds with a clean kitchen towel. Spread on a baking sheet, drizzle with a touch of olive oil (you don't need much!). Bake in the oven for 30-40 minutes, until lightly browned. Taste them as they bake, as some people like the seeds less roasted, while others like a more roasted seed. That’s all there is to it! 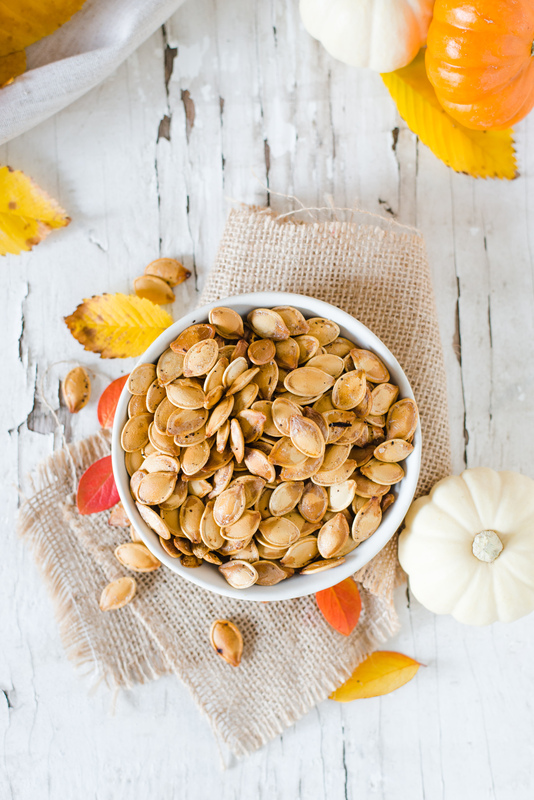 Now go admire your Jack-O-Lantern with a big bowl of pumpkin seeds.